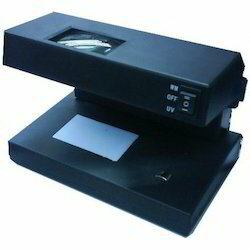 Prominent & Leading Manufacturer from New Delhi, we offer automatic forex detector, fully automatic currency detector and magnifier currency detector. Our firm specializes in providing an excellent range of Automatic Forex Detector which can read note through any direction and any side, the provided forex detector is manufactured in compliance with industry norms. Also, our forex detector is comes with big LCD display and touch screen control panel. This forex detector can be availed in various specifications as per with the customer’s requirements. Now Detect Fake Note In Less Than a Second. It's Portable, Automatic & Easy to Use. 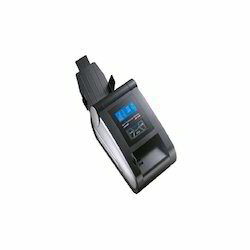 Ideal for Retail Cash & POS Counter. We are leading Suppliers, Manufacturers, Exporters & Dealers for Fully Automatic Indian Rupee Detector to identify fake notes in India. This system is featured with Easy, quick and fully automatic currency detector, Checks and identifies most vulnerable fakes which are difficult to detect, Designed for super fakes of 1000 & 500 rupees denomination and the LED display shows the reason for rejection and other details. Ultra compact design - Truscan NEO is our new Flip Design Model, Designed in Europe & Approved & Certified by European Central Bank in Europe for Euro Currency performance tests. Automatic detection with the complete analysis of different parameters. LED display for easy viewing. Compact, Portable and can be carried anywhere. Battery backup makes it fully portable in Use. Sleep mode to save battery consumption. 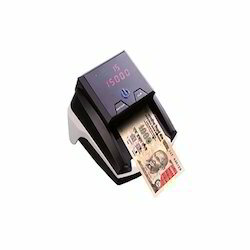 The unique features of this machine include Currency Detector with Magnifier which multiplies the resolution of UV & Watermark. To identify any critical instrument also, Large area to place the currency and Detects most of the legal instruments including currency – Passport, Cheque, Credit Card & other instruments. Magnifier glasses which multiplies the resolution of UV & Watermark. To identify any critical instrument also. Large area to place the currency. Power Source 190 – 240Volts / 50 Hz.